In order to expedite your first appointment with us, we request that you please print out all necessary forms below. 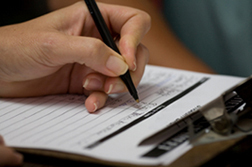 We require that each patient acknowledge each document with their signature. Please bring all documents with you to your first appointment. Do not hesitate to call with any questions regarding these forms. We also ask that you provide any and all dental insurance and/or medical insurance that you would like us to research and file for you prior to your first appointment, this reduces the chances of any surprises such as waiting periods, or coverage less than 100%. We are happy to provide forms in English and Spanish, please select the appropriate form below based on your language preference. * - Save PDF and open in Acrobat Reader to fill in document. * - Guardar PDF y abrir en Acrobat Reader para llenar en el documento.